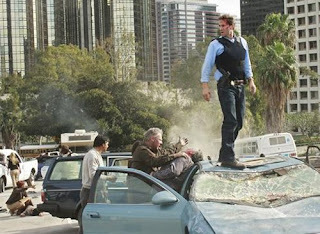 Home / Flashforward / Lost / Missing / Revolution / The Event / The Following / The River / Zero Hour / WHAT SHOW WILL BE THE NEXT LOST? WHAT SHOW WILL BE THE NEXT LOST? First of all let me start with this DISCLAIMER I am a huge Lost fan and I absolutely believe is was a one of a kind show, it re-invented every TV convention and will be one of the best and most significant series of all times. So when I say ‘the next Lost’ I am merely referring to the next great serialized drama (which could win over the Lost fans), not implying Lost will ever be replicated. Flashforward had a lot of promise; it had an interesting premise and a great cast which included Joseph Fiennes as the leading man and two former Lost castaways: Dominic Monaghan and Sonya Walger. Lost fans could have liked Flashforward but it probably came too soon. Lost wasn’t over yet, and I think ABC was trying to replace it even before it was gone. I personally really liked Flashforward, it wasn’t as good as Lost, for sure, but it could have grown into a really interesting show. For whatever reason, it was not a success and they cancelled it after only one season. The next failed attempt came the following year with The Event. This highly serialized show also revolved about one big mystery and had a sci-fi element that involved Aliens. I am very into science fiction, but I have never really liked stories about Aliens that much. Nevertheless, I thought The Event was an interesting show. I didn’t love it and I liked it less than Flashforward, but I was intrigued enough to keep watching and I thought it deserved to be renewed more than a lot of other shows that year. However, ratings were low. The new NBC, which had been recently acquired by COMCAST, did not want to be perceived as a weak network and The Event was uneventfully cancelled after only one season. It was also one of the first shows for which there was buzz of potential acquisition by Netflix. However that never happened. DEAD ON ARRIVAL: The River, Missing, Zero Hour. After The Event, there were a couple of other shows proclaiming they could be the next big serialized hits. In 2011 we had The River, which had a lot of good critiques and even though it was not my cup of tea at all, I thought it was sort of interesting. At least The River was different and it actually was not as serialized as one may think. I didn’t see how a show like that could have been sustainable, you can only pull the same scary mimic so many times… but I was planning to stick around and find out. Unfortunately for the show, ratings were bad from the get go. Needless to say, the show was cancelled. That same year, we had another ABC flop: Missing. I guess Missing was trying to be the next Alias rather than the next Lost. It should have been trying to be a decent show instead, because it was awful. It had a premise that could have been interesting and it had Ashley Judd, but there were so many flaws with the writing. It was not compelling at all and I was glad to see the midseason show go. This year we had another notorious failure: Zero Hour. I only watched the pilot and I didn’t think it was as bad as everyone else said, but I didn’t think it was good either (youcan read my review here). One of the problems was that Zero Hour was pretending to be this complex, sci-fi serialized show which was a little bit of a grandeur delusion. The show had the potential to be an interesting treasure quest show, but nothing else. The minute they started cramping up these derivative stories about immortal Nazis and religious conspiracies it was a little too much. Finally, after years of no serialized TV it looks like this season brought us two new serialized shows that are here to stay: The Following and Revolution. 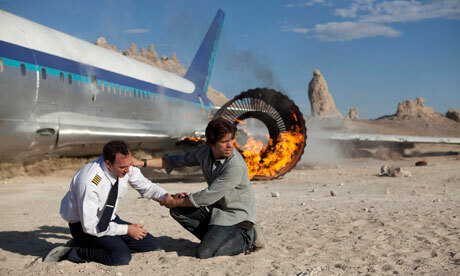 The Following doesn’t really have enough in common with Lost to be called the ‘next Lost’, but it is one of my favorite new shows of the season. It had a very strong start and I am hoping it remains interesting until the end. There was a lot of expectation for this show, I think it was very well marketed which is sadly not the case for every new show. This one, at least, deserved all the good pre-launch buzz. Similarly, Revolution had the good fortune of being promoted during the Summer Olympics and premiered to strong ratings. Revolution is more likely to attract the Lost fans as it is closer to it in tone than The Following, it is produced by Bad Robot (JJ Abrams’s company) and it has Elizabeth Mitchell. I like Revolution a lot, but… not nearly enough as Lost … and I do not consider it to be the ‘next Lost’ because it simply doesn’t elicit that level of commitment and obsession, at least not for me. I think of it as an interesting show with a very cool premise that could potentially get crazy interesting… but not just yet. Revolution Pilot Review. I know the connection between Lost and Once Upon a Time is not the most obvious one. What does a show about castaways have in common with a fairy tale show? Surprisingly Lost has more similarities with OUAT than with any other show mentioned above. For starters it was created by Edward Kitsis and Adam Horowitz (the writers of Lost) and you can easily tell from all the Lost references that are constantly thrown in, including: Apollo bars, Geronimo Jackson, the numbers, MacCutcheon whiskey and Alan Dale. Once Upon a Time re-invented itself after S1, which is what Lost did every season. We will never get another Lost, but Once Upon a Time is one of the greatest serialized dramas on the air right now and it has the potential to become a classic by the time it reaches 5 or 6 seasons. Many thanks for your review on the next Lost. It's something I am always looking into (foreign shows aswell), but still coming up empty. In terms of mystery/suspense, only Homeland was close to me, but even that had some irrelevant persona, which did the show more harm than good. I agree with 99% of what was written. FF was the best of the rest, and The Event wasn't half bad either, but they both lacked something to really grab you. Even though I think it was pre-Lost, Journeyman dealt with time-travel in a most intriguing way, but that, too, was sadly cut short. Even though it's cancelled, I'm going to have a look into "Zero Hour" and maybe give "Once upon a time" another shot as it seemed intriguing at first, but the concept didn't really entice me. I have never seen Journeyman but I would love to check it out. I'll see if I can find it online.